Free keg beer while it lasts. Regularly priced at $119, SCCA discount is $99/night. Rooms have microwaves and refrigerators; free wifi, and complimentary breakfast. Regularly priced at $124, SCCA discount is $99/night. Rooms have microwaves and refrigerators; free wifi, and complimentary breakfast. 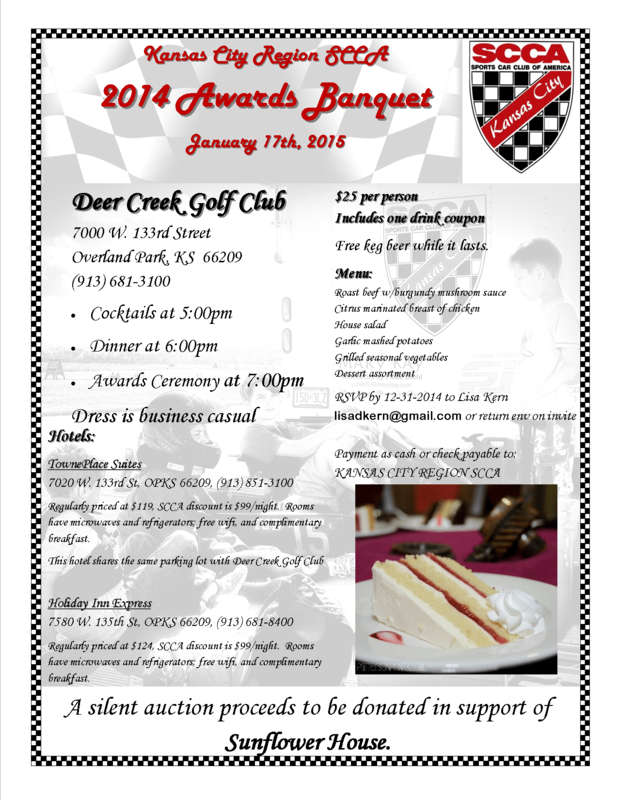 Please feel free to distribute the flyer above as widely as you like! Here’s a smaller badge that may be better for many forums and websites. 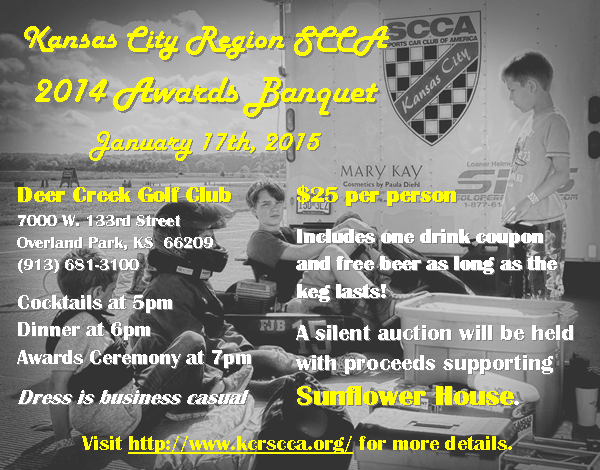 Tagged 2014, Awards Banquet, Deer Creek, kcrscca. Bookmark the permalink.